Who's ready for a little hop action? 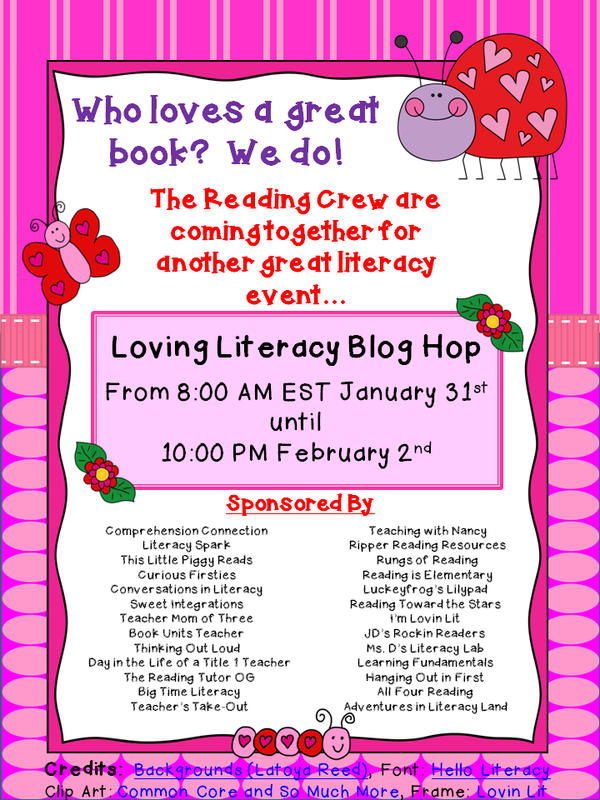 The Loving Literacy Blog Hop will be starting here at Comprehension Connection tomorrow morning at 8:00 AM and running through Sunday night at 10:00 PM. We hope you love literacy like we do and make great use of these book unit materials with your students. There are a range of levels included in the units we will share. Hopefully you'll find a few that work for you, so that you too can share the love of literacy with your students. My favorite author is Margaret Wise Brown for the gentle wisdom she imparts to children through her books. Hey Deb! I almost missed this...somehow your comment showed up in a lower post. I love her books too.